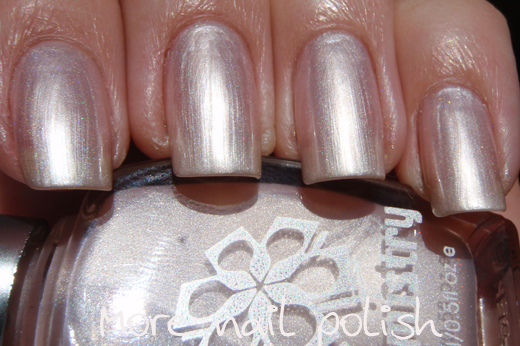 Have you ever bought a polish totally sight unseen? I did with this polish. I purely bought it cause it's number was in the 500 series, which meant it should be another linear holographic in the whole Ozotic/Chemistry range. I had no idea what colour it was, I just picked the number and went with it. 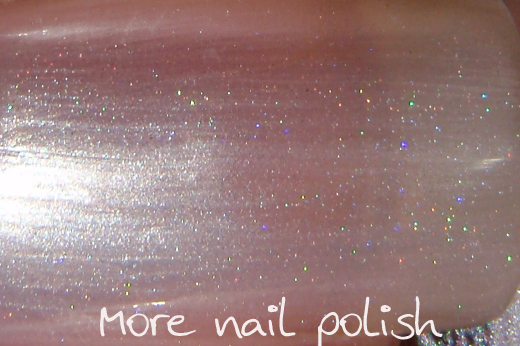 Actually I did this with a few of my Chemistry polishes because the colour chart was terrible. Chemistry 525 is a very pale frosty pink with some holographic particles. 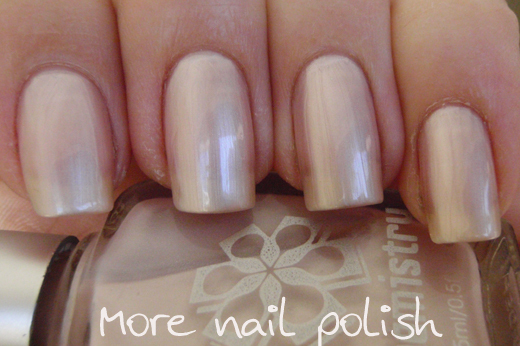 Eeeeewwwh, I hear some of you say, I hate frosty polishes, there so 1980's. You know what? I actually don't hate this like I thought I would when I saw the bottle. It's so pale, it's almost white and it has a nice pearlesent appearance, particularly indoors. Here I managed to capture the very sparse holo particles. See they are there! What this polish looks like most of the time. Sure, this polish is a bit of a let down, especially when compared to the other holographics, but it's still nice, and I think it's much nicer that 527 which I will show you very soon. So elegant. Love the close up photo! It really shows off the polish! It's subtle but very elegant.